Unlike any before it, this was not the story of Kings and Queens and Lords and Ladies, but a history of ordinary people as told through collections of old documents and memories. 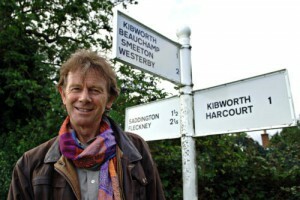 The series was based around the ancient parish of Kibworth in the Gartree hundred, which today comprises three villages: Kibworth Harcourt, Kibworth Beauchamp and Smeeton Westerly. The project began for the villages on a weekend in July 2009 with the Big Dig, organised by Michael’s production company (MayaVision International) and co-ordinated by Dr Carenza Lewis, who, with local archaeologists, worked alongside over 150 volunteers to dig 55 one metre square test pits in their gardens and recorded everything they found as they worked their way back through time to the Roman period. One of the pits, dug in the corner of the car park of The Coach & Horses pub on the A6, where the team were based throughout the weekend, produced one of the most interesting artefacts – a tiny fragment of bone comb from the DarkAges. 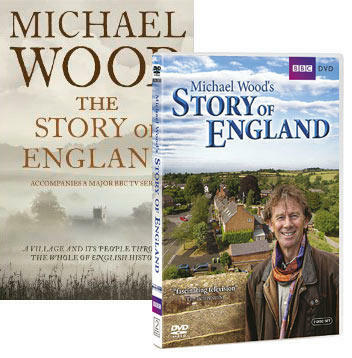 Moving between the national and the local narratives, Michael and the production team filmed until October 2010 to set the lives of the ordinary people from the three villages in the context of great events: from the Viking invasions and the Norman Conquest to the Industrial Revolution and the two World Wars. 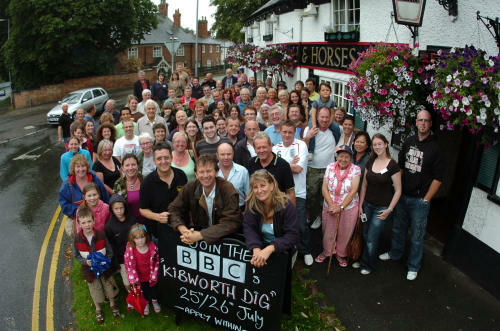 Fittingly, the series finished in September 2010 with the burial of a time capsule in The Coach & Horses’ car park by Michael Wood and one-time landlord and his wife, Andrew and Beverley Southerden.